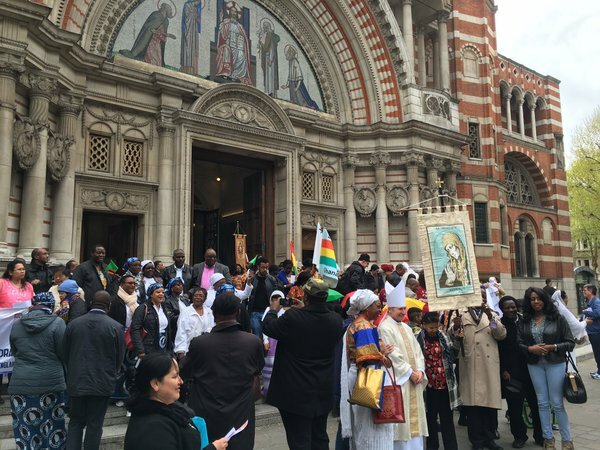 Parishioners from English Martyrs, Hornchurch, Christ the Eternal High Priest, Gidea Park, and other parishes travelled to the Holy Land recently for an eight-day pilgrimage. 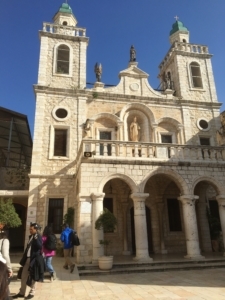 We were led by Fr Britto Belevendran, and accompanied by Fr Adrian Graffy, and we stayed for most of the trip in Bethlehem, in the West Bank, with visits into the state of Israel. 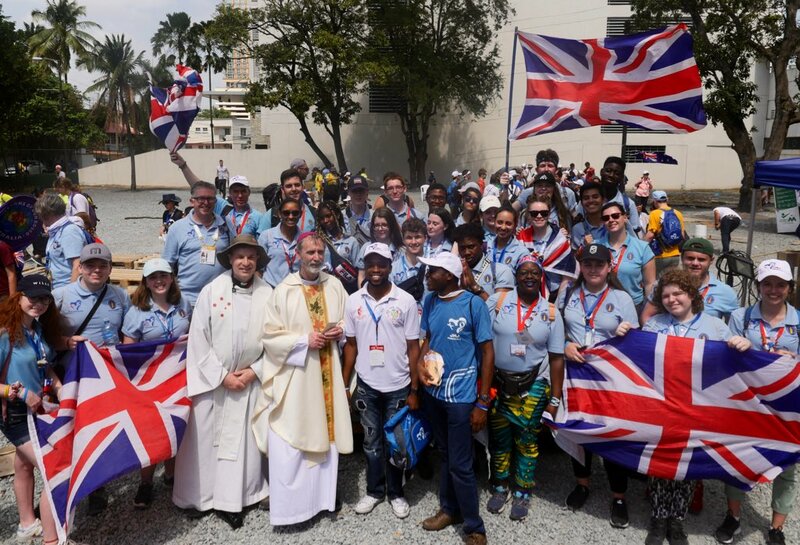 A major theme of the journey was ‘mercy’, which has been a highlight of the papal ministry of Pope Francis. 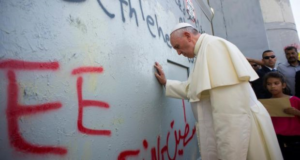 The separation wall between the Palestinian Authority and Israel was constantly before us, and we recalled Pope Francis’ 2015 visit in which he stopped his motorcade to pray at the wall, placing his hand upon it. Our first visit was naturally a walk to Manger Square and to the traditional place of the birth of Christ in the Basilica of the Nativity. Our day in Jerusalem included visiting the Church of the Holy Sepulchre and a walk to the Western Wall, where we were able to join our prayers to those of the Jews praying there. Many of our group found this to be very moving, given that this is the retaining wall of the Jewish Temple, the temple which Jesus visited, which is now a site of immense significance also to Islam. While in Jerusalem we met Sr Bridget Tighe, the director of Caritas Jerusalem, who told us about the needs of people in Gaza and in the West Bank. We hope to support this work in ways still to be explored. 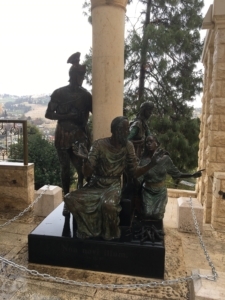 Our visit to Galilee included Mount Tabor and afternoon Mass in the great Basilica of the Annunciation in Nazareth, as well as the renewal of baptism vows at the River Jordan and of marriage vows at Cana. To see the house of St Peter at Capernaum and the site of the synagogue where Jesus healed and taught was a memorable experience. The Church of the Beatitudes, peacefully overlooking the Sea of Galilee, brought to our minds the beautiful teachings of the Sermon on the Mount, once again with a particular focus on ‘mercy’. 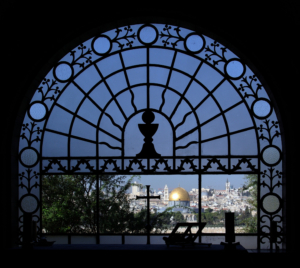 On the anniversary of Pope Francis’ election we celebrated Mass at the church of Dominus Flevit on the Mount of Olives, which has a stunning window looking across the Kidron Valley to the Dome of the Rock. Christ’s weeping over Jerusalem is recalled here, and a vessel of tears was symbolically brought to the altar during the Mass. Our final day, on which for the first time we experienced rain and wind, included a visit to Ain Karem, the traditional birthplace of St John the Baptist, and to the beautiful church of St Peter in Gallicantu, which recalls Peter’s denials, and is built above the dungeon where Christ is thought to have been held on the night before he died. We thanked God for the witness to the mercy of God of Pope Francis, knowing that this visit was a call to mercy and compassion in our own lives once back home. 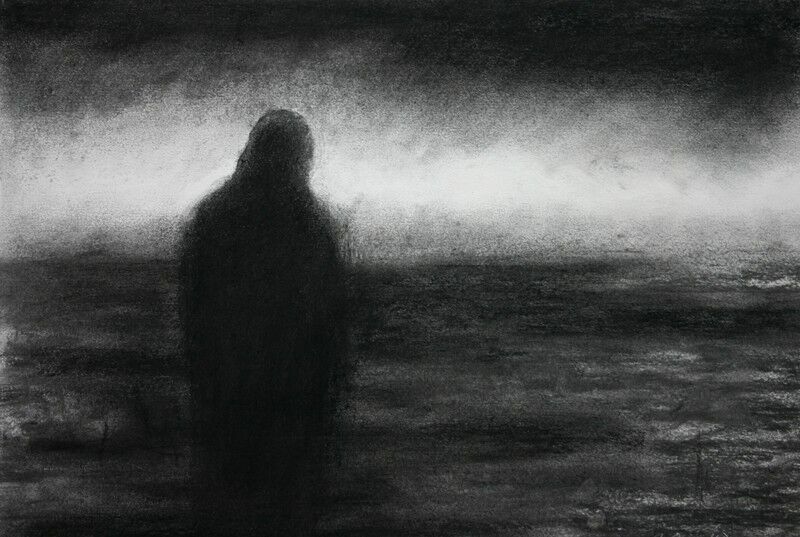 The theme of mercy was constantly cropping up, in a land where it is sorely needed.